BigRep was among the first companies which produced 3D printed airless bicycle tyres. Now they coming up with the world' first 3D printed Electric Motorcycle. The project is named as NERA. It is an visionary machine which will be using the BigRep Pro FLEX TPU technology. It is a thermoplastic Polyurethane filament which is very flexible. 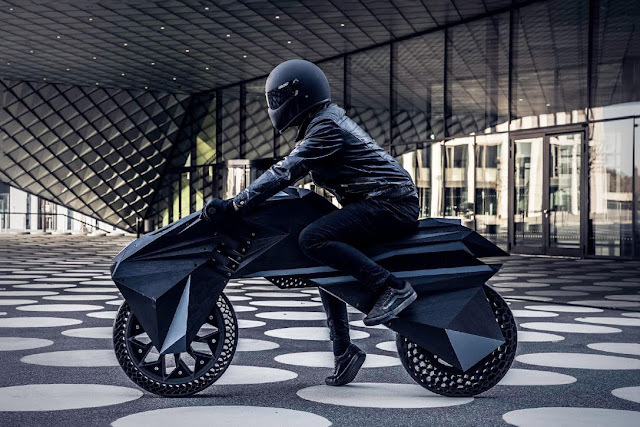 Bike will feature 3D printed frames, USD forks and suspensions, wheels, seat, embedded sensor technology. With all the innovative design, power system, and futuristic material will make the BigRep NERA to stand tall among all the other futuristic concept.